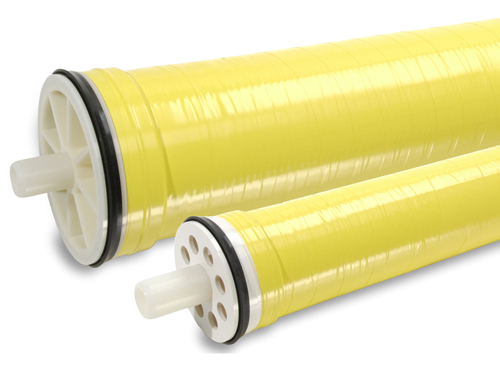 DOW FilmTec Commercial RO Membrane Elements 2" to 4" Tape Wrapped | Applied Membranes Inc.
DOW FILMTEC offers a variety of low energy and high rejection FILMTEC reverse osmosis elements for small commercial operations such as car washes and resort applications. 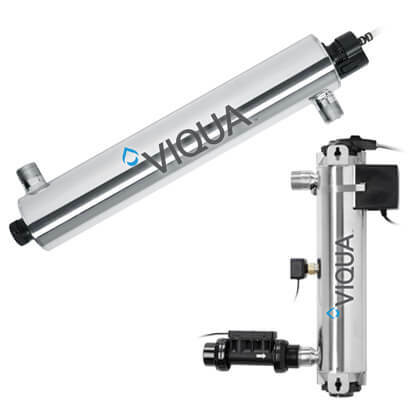 DOW FILMTEC TW30 elements are an industry standard for reliable operation and production of high quality water. These features a 34 mil feed spacer to lessen the impact of fouling and may be cleaned over a wide pH range (pH 1-13) for the most effective cleaning. DOW FILMTEC LP & XLE elements deliver high performance at low pressure resulting in less energy usage and lower costs. Reverse Osmosis removes up to 99% of total dissolved solids. RO membranes remove dissolved impurities such as chloride, lead, chromate, fluoride, bacteria and others. Click here to view the nominal rejection characteristics of thin film membranes. LP & XLE elements reduce operating costs due to lower energy requirements. TW30 elements provide longer life due to increased resistance to fouling. Permeate flow and salt rejection based on the following test conditions: TW30 2,000 ppm NaCl feed stream XLE & LP 500 ppm NaCl feed stream, 77°F (25°C) and the pressure & recovery rates listed above. Permeate flows for individual elements may vary +/-20%. For the purpose of improvement, specifications may be updated periodically. XLE-2540 replaces the LP-2540, which has been discontinued by DOW. DOW FILMTEC TW30-2026, TW30-2514, TW30-2521, TW30-2540, TW30-4014, TW30-4021, TW30-4040, LP-2540, LP-4040, XLE-2521, XLE-2540, XLE-4021 and XLE-4040 are FDA – 21 CFR 177.2550; Food and Drug Administration Compliant. The following membrane element models have been discontinued by DOW FilmTec and are no longer available. Please see the below table for a suitable replacement. Specifications are listed for reference only.